WARNING! HUGELY MASSIVE SPOILERS FOR AVENGERS: INFINITY WAR MAY LIE BELOW! This weekend, fans of the Marvel Cinematic Universe were shaken to their core when news about Avengers: Infinity War broke at D23. The annual event saw Marvel Studios debut the first footage of the third Avengers film for lucky fans, and the MCU’s biggest stars all aligned for the reveal. However, Marvel may be wishing Mark Ruffalo didn’t show up to the pow-wow. After all, it looks like the actor may have just accidentally slipped who all will die in Avengers: Infinity War. But, after the interviewer agrees about Marvel’s angsty take on superheroes, Ruffalo just couldn’t keep himself quiet. “Dude!” Cheadle yells, looking off-camera in panic. 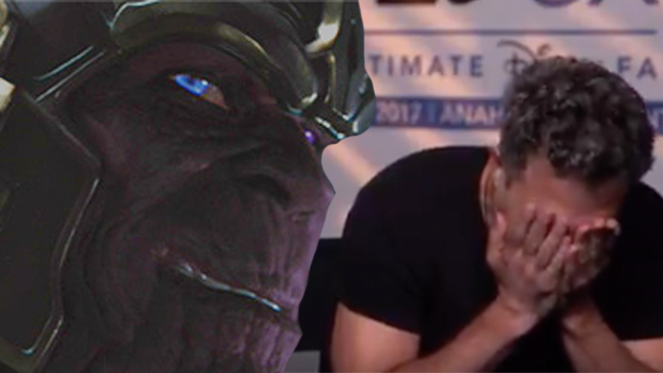 Ruffalo blanches before pointing off-screen. “Not everybody - no. Is that - can we rewind that part?” he says before adding. “Am I in trouble? Is Barry going to be mad at me?” The actor can be seen rubbing his face as Cheadle tells him to move on and not dwell on the revelation. Of course, fans are not completely convinced Ruffalo is telling the truth here. It seems hard to believe that Good Morning America would be allowed to air that footage given its close relationship with Marvel Studios - but anything can happen. If Ruffalo’s slip isn’t an elaborate false trail, then fans have learned Avengers: Infinity War will really kill off its main cast of heroes, but that should not be too surprising for fans. After all, the MCU has teased a major calamity would be heading for Earth’s Mightiest Heroes. Tony Stark has a foreboding vision during Avengers: Age of Ultron which saw all of the Avengers dead. The crew appeared to have been slain under Thanos’ watch as their bodies were found in outer space on what appears to be an asteroid or piece of rocky debris. 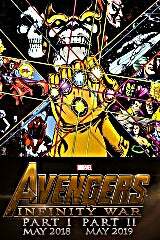 Avengers: Infinity War may make good on its promise to kill most of its heroes as a sucker-punch to fans before resurrecting those lucky enough to continue on in the MCU. Avengers: Infinity War and its as-yet-untitled sequel are filming back-to-back for a May 4, 2018 and May 3, 2019 release, respectively. Are you excited for Avengers: Infinity War? Rank your anticipation below!